One of the most exciting reinterpretations of an iconic offering from Hindi cinema and featuring the hallmark characteristics of another screen classic, comedy maestro David Dhawan’s modern-day retelling of Chashme Baddoor releases in the UK on 5th April 2013, presented by Viacom 18 Motion Pictures and Tip Top Entertainment. A laugh-out-loud, family entertainer that will appeal of cinemagoers of all ages, Chashme Baddoor is a fresh re-working of one of 80’s Hindi cinema’s most delightful screen gems, presenting a riotous comedy that is sure to engage a new generation of fans as well as charming older audiences as it pays homage to one of the most nostalgic and defining genres and films of Indian cinema over the decades. 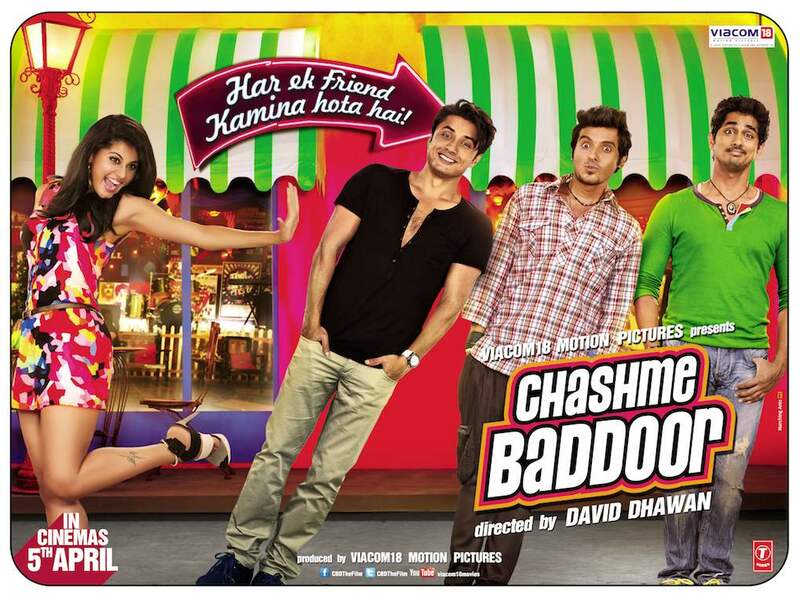 Featuring the bright young things of Bollywood’s next generation of acting talent, Chashme Baddoor stars the industry’s most handsome new leading man, the multi-talented Ali Zafar, alongside former model and emerging starlet, Taapsee Pannu, and rising stars Siddharth and Divyendu Sharma. Joining the new generation on screen is a wealth of seasoned veterans including Rishi Kapoor, Juhi Chawla, Anupam Kher and Lilette Dubey. Chashme Baddoor has been re-written by the lauded director of the original version, Sai Paranjpye, with master of comedy David Dhawan crafting another comedy gem with his inimitable directorial prowess. Set against a breezy Goa backdrop, the film is perfectly complemented by an infectious, upbeat musical score courtesy of composing duo Sajid Wajid, with Ali Zafar lending his hypnotising vocals to the sing-out-loud soundtrack.